The best board games for kids are those that stand the test of time. With only a few exceptions, the games we have listed and reviewed are classic games most adults will remember and kids will love. Many of these games are under $20 and some are even under $10. 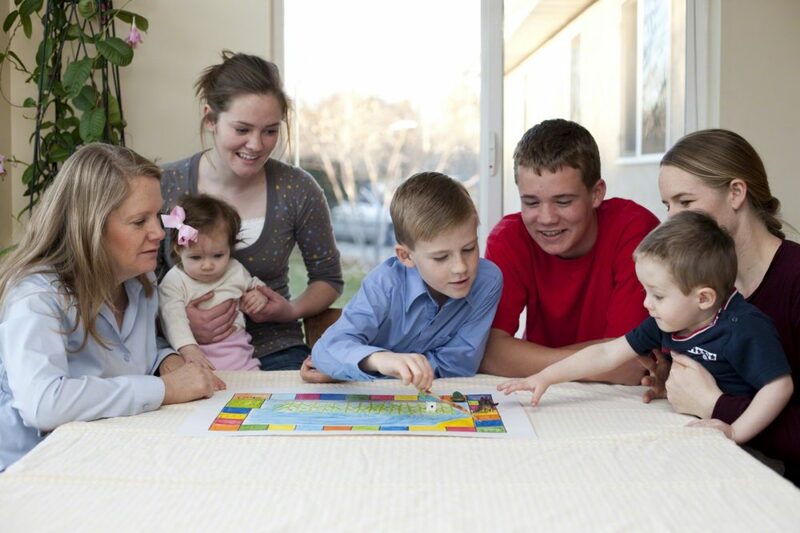 Board games keep your kids occupied on rainy days, teach social skills, and help them with basic learning. They can be played with a partner, in a small group, or as a family. We have included which ages the game best suits to help you find the perfect game for your kids. 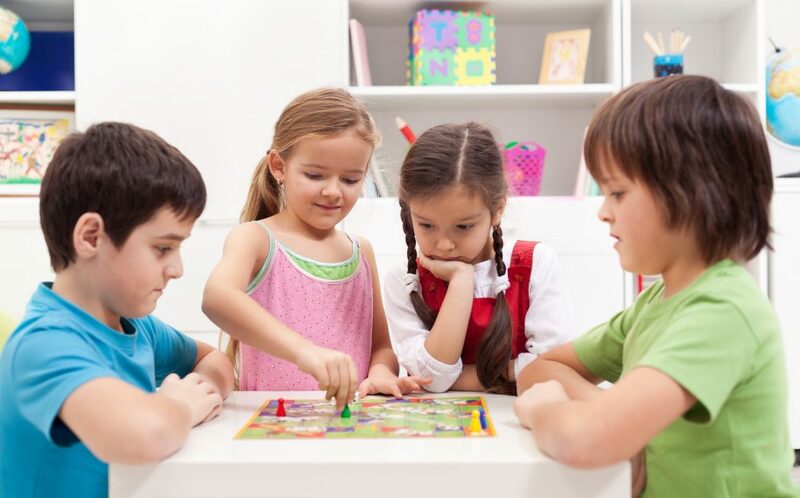 Fun board games for kids are easy to learn and play. The following selection is for very young children. Your children may get tired of some of the easier games, but they provide a good introduction to board games, teaching how to follow rules, and take turns. Most likely the first board game for many kids, this game is a good introduction to playing according to the rules of a game. Children only need to know how to count and discern the difference between colors. Players move forward and back depending upon which card they choose. Sometimes the game seems to take an unusually long time or children get tired of playing. If so, try the following variation. Players draw two cards instead of one, and pick the best of the two for play, and then discard both. The goal of this game is for everyone to win by getting all the owls to fly back to their nest before sunrise. This color-coded, cooperative, matching game from Peaceable Kingdom is a favorite with kids. Hoot Owl Hoot! has two different play levels, making it possible to play the game with your children as they get older and more game savvy. Probably one of the most inexpensive games for kids, Hasbro’s Chutes and Ladders is a classic game that is simple to understand and play. You can find a Chutes and Ladder game for under $6. Children as young as three can play this game. A spin with the spinner tells you how many places you can more. The spot you land on may send you up or down. The goal of the game is to reach the square marked 100, but the chutes and ladders may make this difficult for some players. Listed as a board game on many sites, kids play this game on a vertical grid. The goal in this Hasbro game is to get four of the same color, either red or yellow, in a row while blocking your opponent. When a player does so, gets to release the slider bar, releasing all the discs. This game moves fast! The objective in this Hasbro game is to be the first player to get your colored pawn to the “Home” space from their start space. Players draw cards for move directions, and might have a Slide for progress, or land on a Safety Zone. If a player gets bumped, they end up back at Start. Some board games are so much fun and so popular that two versions have been created – a regular game and a junior version. The children’s version teaches the basic game skills, with shorter and simpler rules. As your child grows older, you can introduce them to the original game and begin playing as a family. Monopoly and Monopoly Junior are two takes on an old favorite. 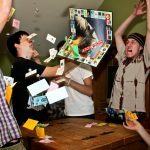 Younger kids will enjoy the abbreviated Hasbro’s Monopoly Junior, while older children will enjoy the longer and more challenging full-scale Monopoly. With kid friendly properties, such as a toy store, ice cream parlor, and skate park and cat, dog, toy car and boat tokens, Monopoly Junior teaches many of the skills needed for the original Monopoly to younger players. Money is easy to use with single banknotes. The player with the most money when all properties are owned wins the game. Who hasn’t dreamed of being rich, owning property, and sitting back, and collecting rent? Monopoly makes all this possible. Choose the original version, or one with a current theme, such as Star Wars or Dory. With two players, the game can last for the better part of an afternoon, so it is great for a rainy day. Monopoly is also an excellent family game. Kids learn logic and strategic thinking, how to count money, and game playing skills. Note: The rules say that the game is for 2 to 8 players; however there are only eight monopolies on the board. This means that in a game of eight players, there would only be an average of one monopoly for each player. No murders in Clue Junior. Instead, players solve the mystery of the missing cake. The object is to discover who took the piece of cake, when they took it, and what they drank with it. To do so, players collect clues, keeping those they find secret from the other players. When a player is sure they know who took the cake, when it was taken, and what the accused drank with it, they make an accusation. If they are right, they win. If not, the game continues. A good introduction to the classic Clue with the familiar characters such as Colonel Mustard (yellow), Miss Scarlet (red), Mr. Green (green), Mrs. Peacock (blue), Mrs. White (white), Professor Plum (purple). A game that needs patience, deductive reasoning, and is just plain fun, Clue is a family favorite older children will love. An envelope holds four cards, two for the whom – murderer and victim, one for the where, and one for the weapon. Players move around the board, entering rooms, and making guesses to solve the mystery of who killed an unknown victim with an unknown weapon. The first player to guess correctly wins the game. Adventure, fun, and important choice making – all are part of Hasbro’s Game of Life. Younger kids will love the junior version and older children might learn to make some important life decisions. Designed for kids, this faster Game of Life by Hasbro focuses on adventures, rather than more adult goal such as family and career building. Fun vehicles – the Blue Wheeler, the Pink Cruiser, the Yellow Speedster, or the Green Ride – take visitors to the zoo or beach while collecting stars and action cards, sending players on adventures. The first player to collect ten stars wins. This more realistic game mirrors life events, such as choosing an advanced educational option, choosing a career, getting married, buying a home, raising a family, and retiring. The goal of the game is to retire with more assets than the other players. The variety of choices makes each game different and keeps kids entertained. Also, this Hasbro game is an excellent family game. With its double-sided board, this game grows with your kid. The youngest players will enjoy matching letter tiles on the grid with its colorful pictures. The winner is the player with the most points at when all of the tiles have been placed. Older children can flip the board over to come up with their own words. Tiles cardboard tiles do not have number; points are earned for each letter placed. 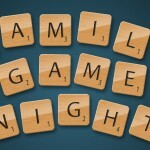 About the time they get tired of the playing Scrabble Junior, they will be ready for the original Scrabble game. Scrabble board game consists of a game board, four racks for tiles, and 100 letter tiles in a bag. The letter racks make it possible for players to “hide” their letters from other players. The tiles are place face down on the playing table and players draw to see who goes first. The player who draws a blank beats the letters and, if no one has a blank, the letter closest to A goes first. Letters are returned to the letter pool and remixed. Players draw seven letters and place them on their racks. Every time a player spells a word, they end their turn by drawing new letters. The goal of the game is to use all of your letters. Many of the games listed for kids are, quite honestly, tremendously boring for parents. 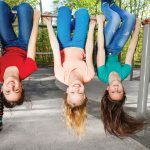 The following group of games are great for kids, but also work well as family games, as adults will enjoy them as much, or more than, their kids. The goal in Chinese Checkers is to move all of your glass marble to the triangle directly opposite yours. The game board has holes for the marbles, so they do not roll off. Just as in regular checkers, you jump over pieces, but more jumps are possible, over your opponents and your own until you cannot jump any more with the same piece. Marbles are not removed, but remain on the playing board. The first person to reach the other side of the board is the winner. The game comes with directions for setting up the game for two, three, four, and six players. The goal in Operation is to operate on Sam with a pair of tweezers. If you hit the sides of cavity opening when removing an “organ,” a buzzer sounds and Sam’s nose lights up. The game comes with two sets of cards. The Specialist cards are dealt at the beginning of the game. The Doctor cards are drawn during play. Players take turns attempting to successfully remove a body part. If they succeed, they earn money. If not, the Specialist gets a turn. The thirteen body ailments have humorous names, such as Bread Basket for stomach, and equally humorously shaped pieces, such as a small horse near the hip bone for Charley Horse. A Hasbro game, Parcheesi is played with two dice, four pieces per player, and a board with a track around the outside. The board has four corner spaces and four home paths leading to a central end space. Each corner is a player’s starting area. A player must roll a five to move a piece out of his nest. The goal is to move the pieces completely around the board and back into the next. Most Parcheesi boards have 68 spaces around the edge of the board, 12 of which are darkened safe spaces. In Catan, formerly The Settlers of Catan, players try to dominate the island of Catan by building settlements, cities, and roads. Players roll die to see what resources the island produces, and then collect these resources (cards)—wood, grain, brick, sheep, or stone—to build. Players accumulate points by building settlements and cities, having the longest road, maintaining the largest army, and gathering certain development cards awarding victory points. When a player has gathered 10 points (some of which may be held in secret), he announces his total and wins the game. The game of Catan has won multiple awards and is one of the most popular games in recent history because it appeals to new and experienced gamers of nearly every age. Simple Catan, as the name implies, is a simpler version for younger players (ages 6+). 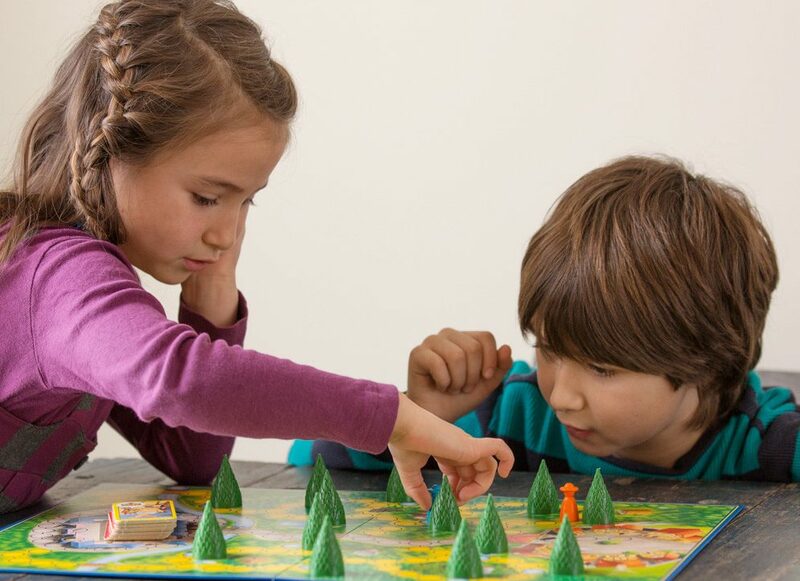 Many of these popular board games for kids can be played by children of all ages. The best board games for kids teach dexterity, thinking skills, the ability to follow rules, and how to play with others. The concept of losing is important for children to learn, so that they are able to learn to deal with disappointment at an early age. Games are indeed education, but they are also fun. Buy one or more today and start having fun! This is a perfect list of board games for kids which you publish here..Thanks for share with us an important article .please keep it up.!!! !